Why I think the Cowboys win in Tampa Bay was a darn good one. Cowboys owner Jerry Jones feels his team is Super Bowl bound. In the end, Jerry Jones was right. The NFL screwed up on the height of the scoreboard. Today, the league admitted as much. 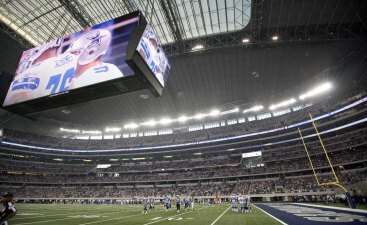 The Cowboys are the most valuable franchise in the NFL, according to Forbes magazine.